The CCIA, which represents global tech firms including Google, Facebook and Microsoft, is protesting a looming injunction that would require search engines, ISPs and hosting companies to stop linking to or offering services to several "pirate" sites. The injunction requested by --- is overbroad, the tech giants warn. While domain seizures against pirate sites are relatively common in the United states, ISP and search engine blocking is not. This could change soon though. In an ongoing case against Sci-Hub, regularly referred to as the “Pirate Bay of Science,” a magistrate judge in Virginia recently recommended a broad order which would require search engines and Internet providers to block the site. The recommendation followed a request from the academic publisher American Chemical Society (ACS) that wants these third-party services to make the site in question inaccessible. While Sci-Hub has chosen not to defend itself, a group of tech giants has now stepped in to prevent the broad injunction from being issued. 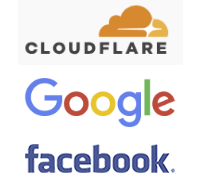 This week the Computer & Communications Industry Association (CCIA), which includes members such as Cloudflare, Facebook, and Google, asked the court to limit the proposed measures. In an amicus curiae brief submitted to the Virginia District Court, they share their concerns. “Here, Plaintiff is seeking—and the Magistrate Judge has recommended—a permanent injunction that would sweep in various Neutral Service Providers, despite their having violated no laws and having no connection to this case,” CCIA writes. According to the tech companies, neutral service providers are not “in active concert or participation” with the defendant, and should, therefore, be excluded from the proposed order. While search engines may index Sci-Hub and ISPs pass on packets from this site, they can’t be seen as “confederates” that are working together with them to violate the law, CCIA stresses. Even if one of the third party services could be found liable the matter should be resolved under the DMCA, which expressly prohibits such broad injunctions, the CCIA claims. “The DMCA thus puts bedrock limits on the injunctions that can be imposed on qualifying providers if they are named as defendants and are held liable as infringers. Plaintiff here ignores that. The tech companies hope the court will realize that the injunction recommended by the magistrate judge will set a dangerous precedent, which goes beyond what the law is intended for, so will impose limits in response to their concerns. It will be interesting to see whether any copyright holder groups will also chime in, to argue the opposite. Update November 3: The motion was denied. CCIA’s full amicus curiae brief is available here (pdf).